Mitra brings over two decades of experience in conducting research on the health care experiences and health outcomes of people with disabilities across the lifespan. She has a particular focus on the perinatal health and pregnancy outcomes of women with disabilities, violence victimization against people with disabilities, and disability-related disparities in health and access to care. Since March of 2017, Mitra has served as the institute’s interim director. In that time, she has grown the Lurie research team and cultivated several new projects, including establishing the National Research Center for Parents with Disabilities, a web-based resource hub focused on generating and curating information that supports the civil rights of parents who have disabilities. 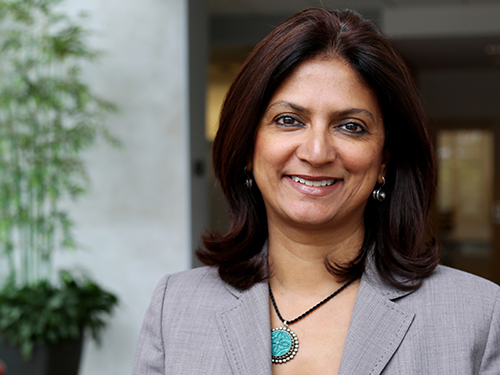 Prior to joining Brandeis, Mitra held positions at the University of Massachusetts Medical School where she served as associate professor in the Department of Family Medicine and as senior program director for the Disability, Health and Employment Policy Unit at the Center for Health Policy and Research. She received her PhD and MA from Boston University, and her MS from Calcutta University, Kolkata, India. The Heller School welcomes media inquiries on this and all other news items. Email Bethany Romano or call 781-736-3961. Refinery29 reports on IASP's new study with Workers Lab, which shows the lack of Black and Latinx employees in STEM positions and high-paying fields and the impacts of occupational segregation. “Not Only Unequal Paychecks,” a report from the Institute on Assets and Social Policy in collaboration with Workers Lab, examines how unequal access to workplace benefits widens the racial wealth gap. In the Regulatory Review, David Weil's work on the fissured workplace is cited in a piece about the rise of both fissuring and automation, which imperils the stability of employment.